The man known as the “20th hijacker” made new accusations about Saudi Arabia’s role in the 9/11 attacks in a sworn statement this week. Zacarias Moussaoui told lawyers last October that top Saudi officials and members of the royal family financed Al Qaeda, and that he discussed shooting down Air Force One with an employee of the Saudi Embassy in Washington, D.C. The information was gathered as part of a brief to counter an attempt to dismiss a lawsuit filed against Saudi Arabia by families of victims of the 9/11 attacks and revealed in a court filing Monday. On another occasion, he says, he visited the royal family as a messenger of “shaykh Osama” and was treated extremely well. A Saudi Embassy official visited him in Kandahar, Moussaoui also claims, and asked him to find a spot in D.C. from where they could shoot down Air Force One with a stinger missile before escaping. 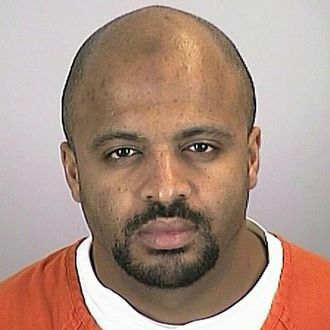 Moussaoui was arrested just weeks before 9/11. His own lawyers argued that he is mentally ill during his 2006 trial, and he has received a diagnosis of paranoid schizophrenia from a psychologist who testified on his behalf. He was still found competent to stand trial, though, and is currently serving out a life sentence at a supermax prison. As CNN points out, many of his past allegations have questionable veracity: “Shoe bomber” Richard Reid has denied Moussaoui’s claims that he was supposed to partake in the 9/11 attacks, and a voice recording purportedly featuring bin Laden himself denied that Moussaoui was supposed to strike the White House on that day.